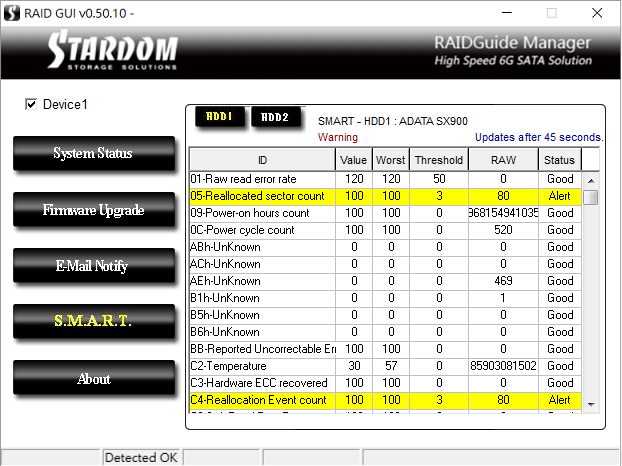 Our 2-bay storage RAID enclosure product now supports the S.M.A.R.T (Self Monitoring, Analysis, and the Reporting Technology) feature.You just have to open this RAIDGuide Manager Utility, you then can enjoy using it to know the HDD quality status, and you could even to replace any HDD which is with critical quality level in advance to help an even better protection for all your data. 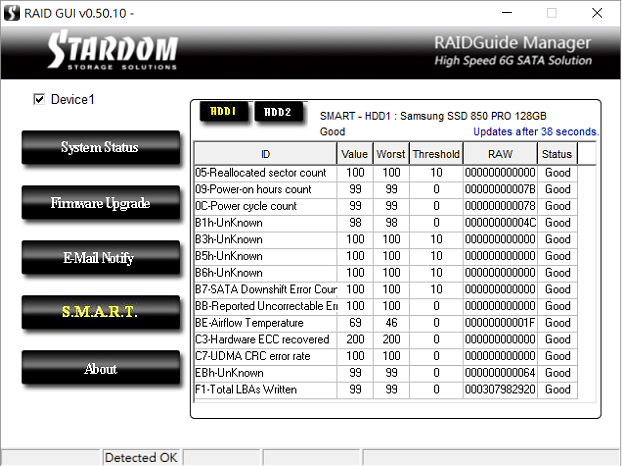 Under RAID 0 mode, it alerts "Warning" while detecting HDD with a critical condiction, we would recommend to replace the hard drive. 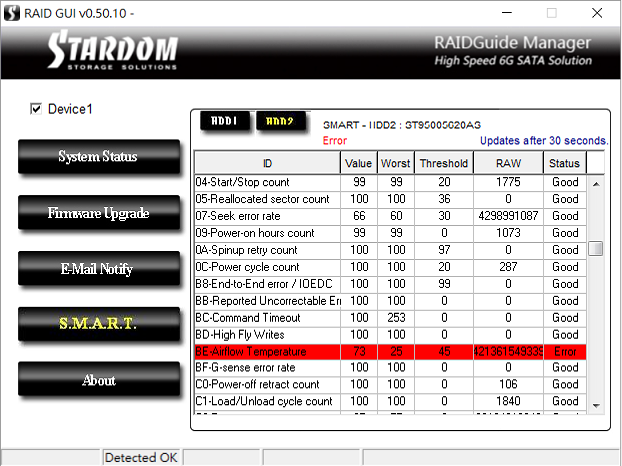 Under RAID 1 mode, it alerts "Error" while detecting HDD with a serious damage , we strongly request to replace the defective hard disk. Threshold:The critical HDD quality level HDD becomes defect when detecting data is higher than Threshold.